Great detail, the actual laser detector has to be seen to be believed. 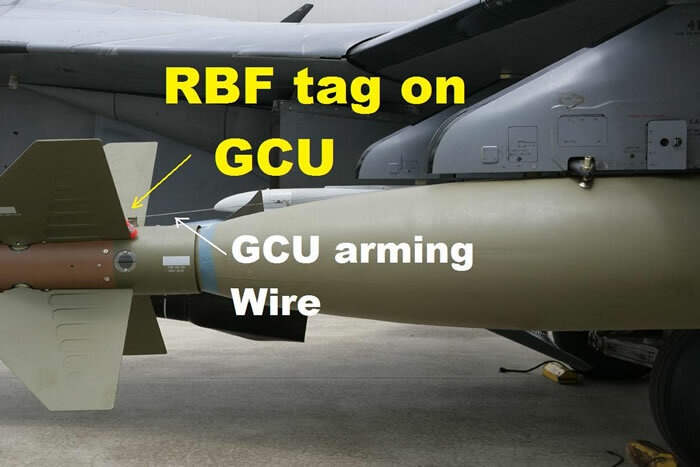 The Guided Bomb Unit-24 (GBU-24) is termed a Low Level Laser Guided Bomb [LLLGB] consists of either a 2,000lb MK-84 general purpose or BLU-109/BLU-116 penetrator bomb attached to a Paveway III low-level laser-guided bomb kit (this consists of Guidance Control unit[ there are three main types],hardback, adapter and tail airfoil). The GBU-24 was developed to increase standoff weapon release ranges, and to counter limitations in low weather ceilings giving GBU-24 LLLGB/Paveway III a standoff capability of more than 10 nautical miles. In the Gulf War all of the 1,181 GBU-24s were released by F-111Fs. 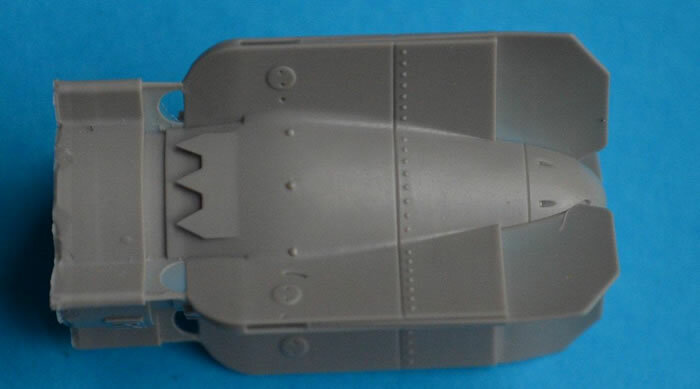 I’m a big fan of the GBU-24 and have used many of the aftermarket 1/48 options available, and I must say when I opened the BRASSIN box I was blown away by the detail and moulding. This is very nicely done. 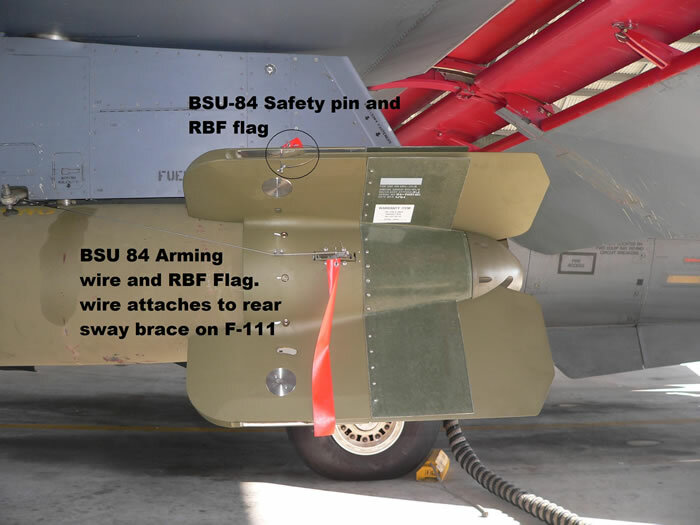 All parts are in resin with the exception of the Remove Before Flight (RBF) flags. The tail Airfoil has very thin fins and these did suffer a little in transit however, a little hot water and they are back to being nice and straight. You get two options in the box- i.e. with or without environmental cover. The dome for the CGU is moulded in clear resin but I feel this may hide the amazing detail of the laser detector. You do get a spare clear dome, so smash moulding a thinner one may be an option. I’m so glad that Eduard is now including painting guides. 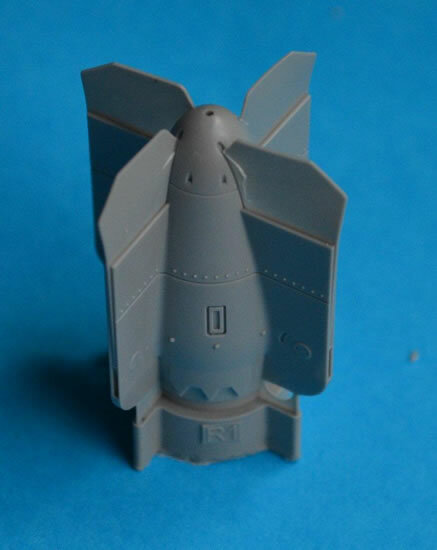 Some addition guidance is the brown on the CGU and the white makings on the GCU and the fins. If you are modelling this GBU for a USN weapon, check the era, as you will see different bomb body colours, in fact I have seen grey bodies on our F-111Cs. Because of the scale I would also add the two arming wires/lanyard. What I have shown works for the F-111; you will have to use references for other aircraft. 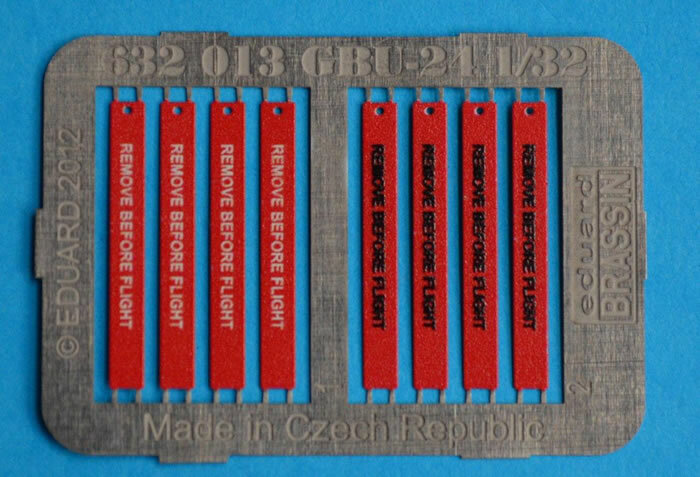 This will be a great addition to your F-15E, F-16A MLU, F-16C Block 40/42, F-16C Block 50/52 CCIP, F/A-18, Panavia Tornado, Eurofighter Typhoon, Mirage 2000,Rafale, F-14 Tomcat , F-111F and F-111C AUP and the Predator C UAVs. 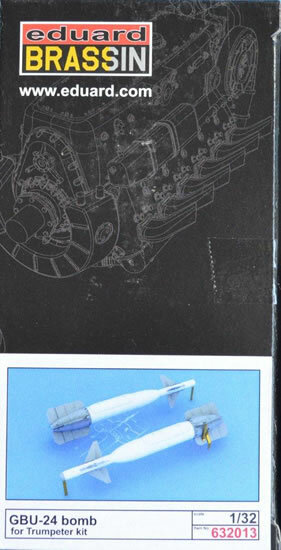 Eduard, please do this in 1/48 scale and with an Mk84 bomb body option please! !